17th Annual International Conference on Asphalt, Pavement Engineering and Infrastructure | XAIS Asset Management Ltd. 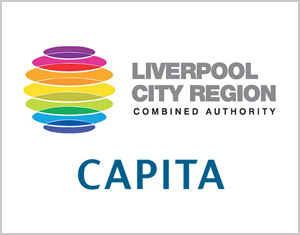 The Department of Civil Engineering at Liverpool John Moores University, in association with The Road Surface Treatments (RSTA) and Colas Ltd, will host its 17th annual international conference in February. 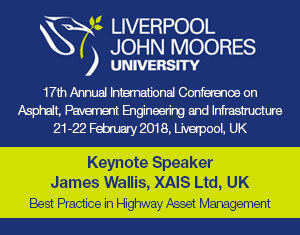 The conference will focus on pavement engineering, asphalt technology and infrastructure; and is a continuation of the successful annual events hosted by LJMU since 2001. 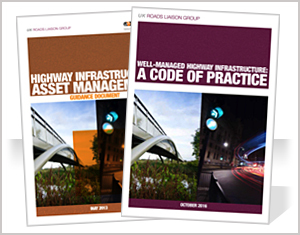 James is giving a keynote speech about ‘Best Practice in Highway Asset Management’. ← The new code of practice: Are you ready?